A new study reveals the power of the human body to help in repairing traumatic spinal cord injuries. According to the World Health Organization, people who suffer a spinal cord injury number between 250 000 and 500 000 every year. 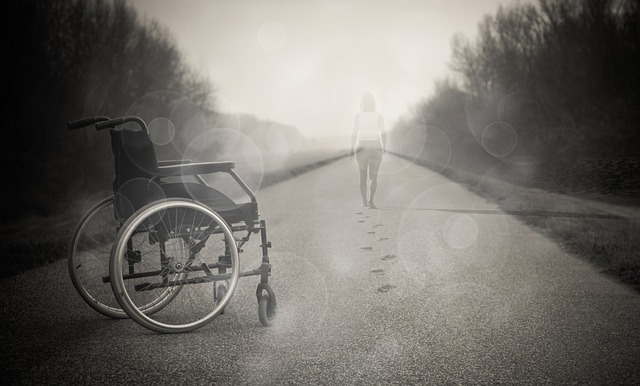 Most cases of spinal cord injuries are caused by fall, road traffic crashes, and violence. Compared to people without this kind of injury, those suffering spinal cord injuries are 2x to 5x times more likely to die prematurely. Repairing spinal cord injuries has always been a very tough challenge for surgeons. The spinal cord is, after all, one of the body’s most sensitive parts. It’s responsible for electrical communication within us, where electrical currents run up and down the cord and enable the different parts of our body to communicate with our brain. It also enables reflexes and walking. When the cord gets injured, these vital functions get disrupted. All these nerves are vital for motor and sensory functions of the body. Problems with motor roots, made up of motor neurons responsible for muscle movement, are easier to fix. However, sensory roots which are responsible for sensory information like pain, touch, and temperature are the most difficult. But, now, there’s a more effective method of repairing this kind of spinal cord injury at a cellular level. Researchers from the United Kingdom and Sweden have developed a technique for reestablishing connection between the spinal cord and sensory neurons. The original sensory nerve cells are taken out from the root before the root is planted deeper in the dorsal horn of the spinal cord. The dorsal horn is consisted of numerous sensory neurons which are not generally connected to sensory roots. By planting the sensory roots into the dorsal horn, the researchers found out that neural circuits get reconnected. At first, it was a mystery to the scientists. But, in further study with rats, they discovered that the dendrites on the dorsal horn of the spinal cord had grown small neural offshoots which connected to the implanted sensory root. This way, it was able to restore neural circuitry. The scientists were elated by the discovery. The body has a way of healing a sensory problem within the spinal cord with just a simple tweak needed from a surgeon. With this new findings, the team is optimistic that there’s a way to repair other types of spinal cord injuries. They may even be able to cure cases of severed spinal cords in the near future. The findings have been published in Frontiers in Neurobiology. How long away are you from human trials? This sounds like a complicated procedure and a lot could get lost during the transfer?? ?